Carnival camo sets, but still no Mordian Sniper for my French potato! Edited by Derethim, 02 March 2019 - 07:22 PM. I think it's a one time deal... rip. I want the Edelweiss but it was never released on EU or NA. Since they're the ones who licenced that skin. Edited by Nishi_Kinuyo, 03 March 2019 - 12:23 PM. Also, nice avatar. I love Ergo Proxy. Edelweiß is fine, Nameless is OP. Why should we not be allowed to have something we want just because another group of people says they don't want it? Because you can consume anime any time you like, there are many ways for you to enjoy it. But the only reason most people play WoT is to get away from it, to expunge it from their everyday lives, so have some respect. Because the majority of EU players voted against anime tanks. If you want anime tanks just make an account on a server that has them, and then you can play them to your hearts delight. WG even made it easier to have different accounts on different servers with the game centre log in, in the past you had to use a mod. and the gun to go "QUAAACK"! I watch anime as well, but Wargaming's fantasy tanks are at least based on blueprints, or are made up based on reality, like the Types. Those two anime tanks look nice, but they are what they are - anime tanks. 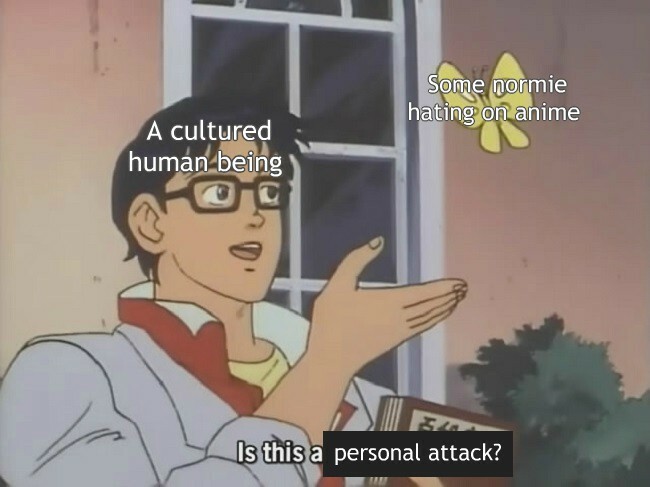 And should stay in anime. Also, as a fully-equipped AMX40 owner with topped-up crew, I support dis. Edited by Derethim, 07 March 2019 - 02:01 PM. The AMX40 was a great tank but with so much prem ammo its not what's its quacked up to be. They would be a bit fine reskinned to a base colour and maybe some of the other parts like the bags and whatnot edited to look closer to ones we see in-game (atleast to me, they look just a bit off compared to normal tank stowage), but even still they are entirely fictional. Don't get me wrong, we have plenty of frickin' fictional tanks (*cough* Chinese TDs in particular, looking at you) but none of them are actually from another source of media and are just, well, made up on the spot by WG. There's also the problem of if they are implemented, why wouldn't other fictional tanks like the Halo Scorpion be allowed if these are?